The Noyyal River, a tributary of Cauvery, is a small river in Western Tamil Nadu that rises from the Velliangiri hills and flows through many villages and the cities of Coimbatore and Tirupur, finally draining into the Kaveri River at Noyyal, a village in Karur district named after the river itself. Its original name was Kanchinadi but changed later to the name of the place where it drains into the Kaveri River in 1750 A.D ~ and it is on its bank, way back in 1932 a gruesome murder by the British was staged. Back in 2015, Tamil Nadu government Information Minister, K T Rajenthrabhalalji announced in the State Assembly that the birth anniversaries of freedom fighters Veera Vanchinathan and Tirupur Kumaran would be celebrated as government functions. Birth anniversaries of freedom fighters including Gandhi, Nehru, Netaji Subhas Chandra Bose, Bharathiyar, Dheeran Chinnamalai and V O Chidambaranar are already being observed as State functions. The minister told the house that State Govt remembers those great patriots. 11th Jan is certainly a day to remember…. heard of Chennimalai, popularly known as the 'Handloom Town' in Erode district ~ very famous for bedsheets and other hand woven clothes. A Flag is not merely a cloth………. it is a concept, a symbol representing the Nation itself. 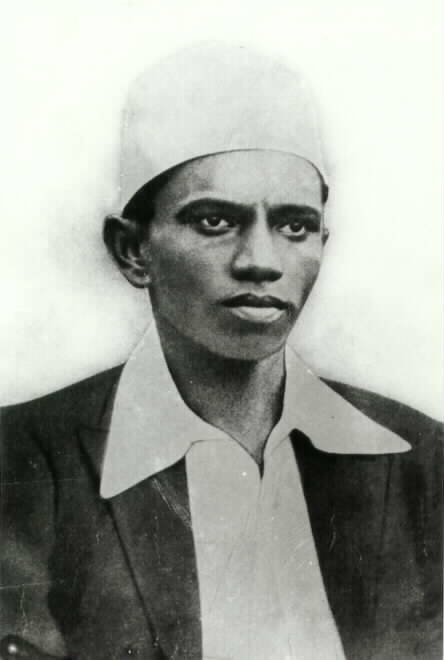 Born in Chennimalai was the man, who was later to become famous as Tirupur Kumaran, more famously known by the epithet ‘Kodi kaththa Kumaran,’ on this day (4th Oct) in 1904. Sad that this man wedded to the cause of Nation’s freedom lived for only 28 years ~ he died with honour proudly holding the flag; but died of injuries in the police assault while defending the Congress flag during a protest march against British on January 11, 1932. Like other legendary revolutionaries, Vanchinathan, Bharathiyar, Subrahmanya Siva, VO Chidambaranar, Va Ve Subramaniya Iyer, Kumaran was also imbibed with the spirit and deeply drawn in the Nationalistic freedom movement. He founded Desa Bandhu Youth Association. He led the protest from the front at Tirupur against the British Colonial Government on 11th Jan 1932, was fatally wounded by baton wielding policemen. He bled to death of the injuries sustained in the head in the police assault on the procession, still held the flag dear to his heart ~ died defending the flag, a la Nation, itself. Long live the memory of Kumaran and all other martyrs who sowed the seeds of freedom, which we all are enjoying now..